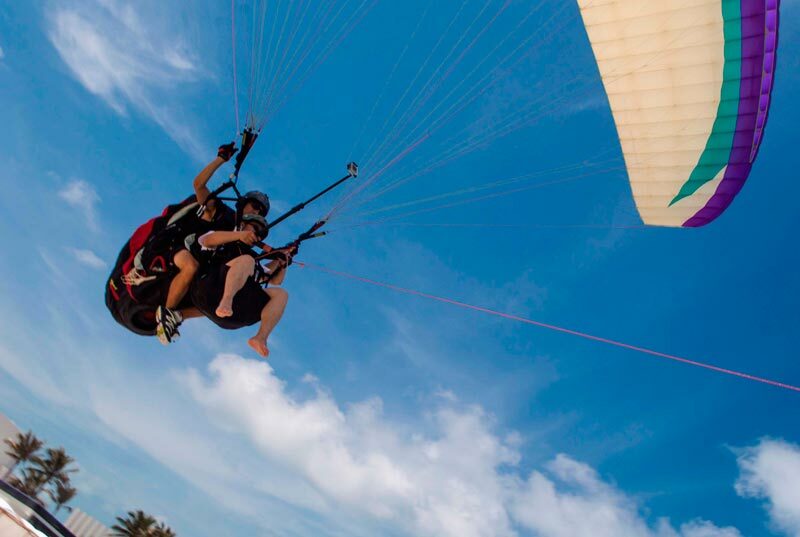 Paragliding in Cancun, Cancun Activities! 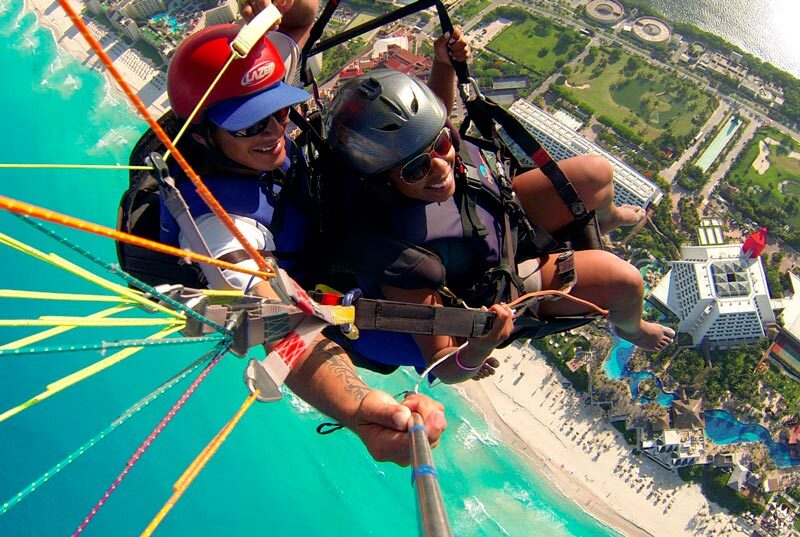 Paragliding in Cancun is now available for all adventure activities lovers. 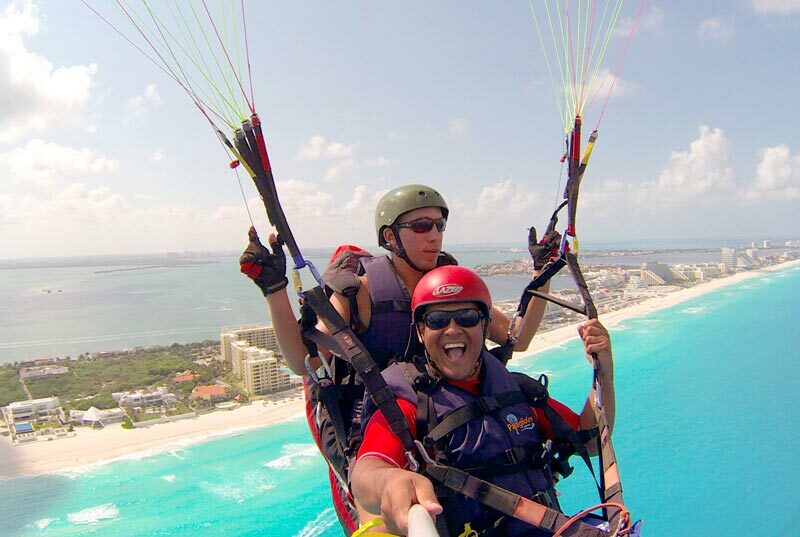 Enjoy the BEST view of Cancun and Isla Mujeres flying in Paraglider at 1000 ft. Paragliding in Cancun is an extreme activity you'll never forget, book it now and don't miss this incredible adventure! 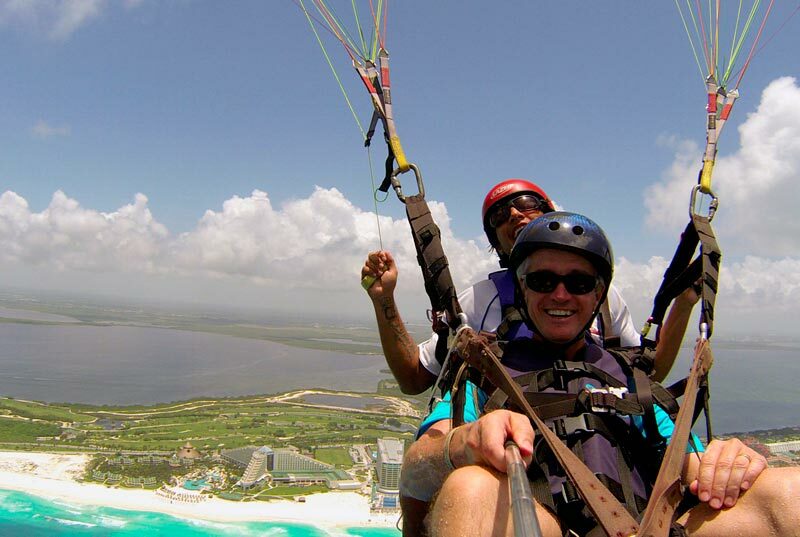 Free flight at 1000 ft. high where you can enjoy the beautifull view of the Cancun´s Hotel Zone, Isla Mujeres and Nichupté Lagoon on a controlled flight. Safety gear homologated by international law flight team. 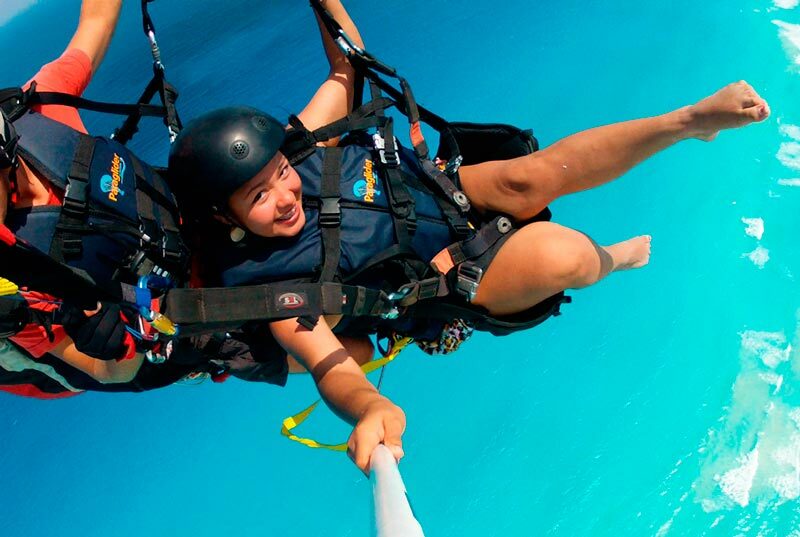 15-20 Minutes Flight at 1,000 ft. hight. Kids can fly alone with the pilot only if they are over 6 years old, and weights over 30 kg. 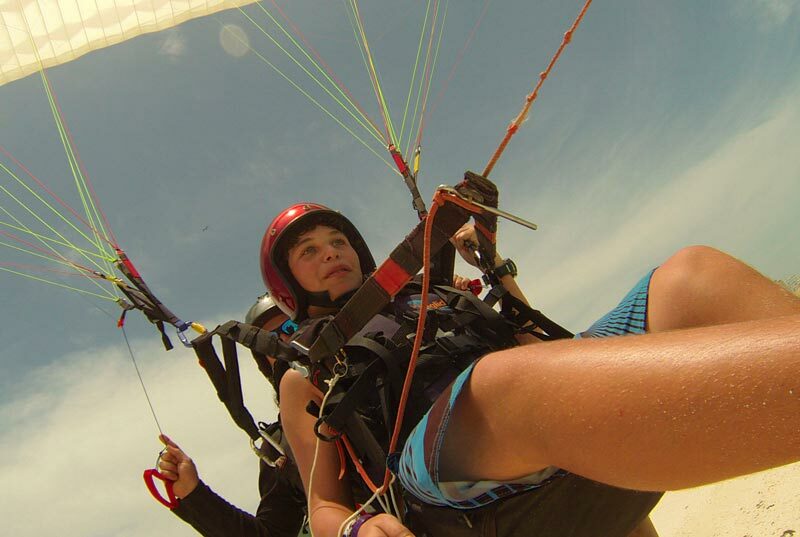 Kid and adult can fly together in case they don't exceed the maximum weight permitted. Signing of responsive form is required. In case of kids his parents should sign instead.